For many people, a nice vacation means sandy beaches and exotic cultures. But not every trip can be a “dream vacation.” Fortunately, it’s possible to get away from it all without having to spring for hotels and airfare. 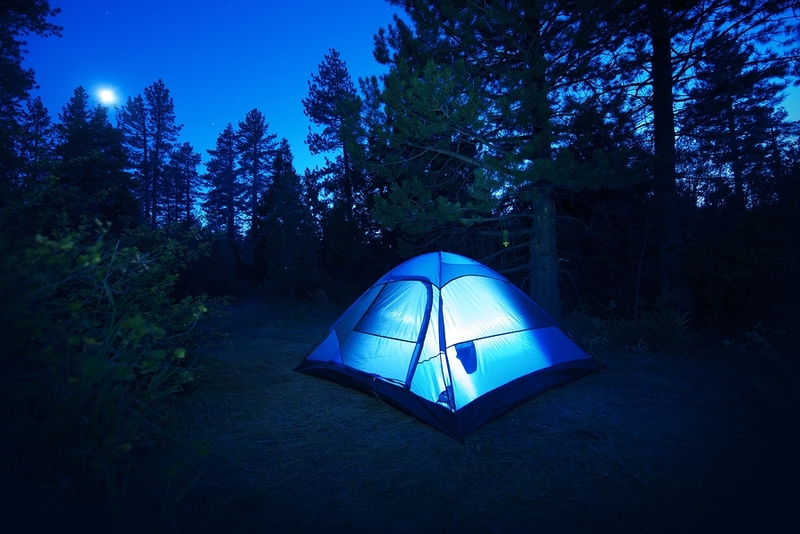 Camping is a great way to take in some much-needed rest and relaxation on a shoestring budget. A camping trip can provide the same sense of freedom a few hours from your home that you would get from visiting another country. In addition to being low-cost, camping does not require much in the way of advance planning, and can easily be coordinated and undertaken with family or friends. Most campgrounds will even allow you to bring a pet along, freeing you from another vacation-related hassle. Despite the benefits, camping also has some risks. Observe the following safety tips from the Centers for Disease Control and Prevention and the U.S. Forest Service to ensure that your trip goes off without a hitch. Get vaccinated. Check with your medical provider to make sure you’ve had all of the recommended vaccines. Be mindful of food storage and preparation. Pack food in tight, waterproof bags or containers, and keep it in an insulated cooler. Do not mix cooked and raw foods. Wash hands and surfaces often. Use hand sanitizer if water is not available. Build fires in a safe area. Fires and fuel-burning appliances must be far enough away from the tent to prevent ignition from sparks, flames and heat. Make sure your fires are always attended. Wear appropriate clothing for the conditions and season. Think before you drink! No matter how clean or pure water looks, it’s likely to contain parasites and microorganisms that can cause discomfort and sometimes serious illness. Purify it with chemical treatment, or bring bottled water. Watch out for bugs. Insects can be an issue at many campsites. Avoid attracting stinging insects by wearing light-colored clothing and avoiding perfumes or colognes. Keep a good supply of bug spray with you to repel mosquitoes, which can carry diseases. Beware of poisonous plants. Familiarize yourself with any dangerous plants that are common to the area. If you come into contact with a poisonous plant, immediately rinse the affected area with water and apply a soothing anti-itch lotion such as calamine.